Over more than a decade Cavemantraining has gathered information for kettlebell beginners, the basics, the fundamentals, the solutions to common mistakes made time and time again. Kettlebell Training Fundamentals is the solution for anyone looking to go from zero to kettlebell superhero. Whether you’re a stay-at-home mom/dad, busy office worker, MMA/BJJ fighter, or crossfitter, this is THE solution to get you the basic but most important technical tips that will help you understand kettlebells, and lay a solid foundation to progress on. Choose whether you want to include an online assessment, that means that you will submit videos of yourself performing the exercises, and a qualified coach will assess you, provide feedback for improvements. The book comes as is, you read it in your own time, try the tips provided, use the step by step instructions, and teach yourself step-by-step. The book comes in electronic format which you can download immediately from our website, you can order the paperback version from Amazon, and have it shipped to you, or you can also order the Kindle version on Amazon. If you like to listen to the book while you’re driving, or while you’re putting into practice what your learning, get the audiobook. If you’re more of a visual person, get the video that covers all the most important points from the book. 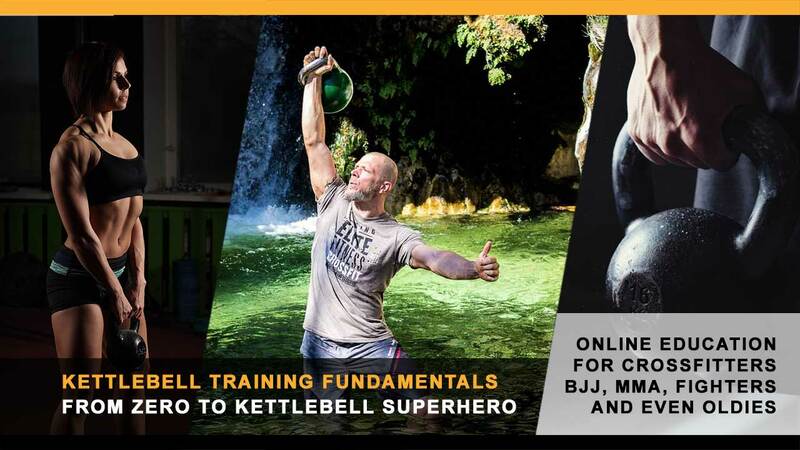 If you like to get the best from all, order one of the online courses, the Kettlebell Fundamentals Trainer L3.0 includes everything, the ebook, audiobook, video, assessment, coaching time, exams, etc. The L2.0 Graduate includes everything listed above, but the assessment, or coaching time. The L1.0 Student includes ebook and audiobook. No matter whether you choose L1.0, or L2.0, you’ll receive a coupon to apply, should you wish to upgrade in the future. If you have any queries about the products, or not sure which one to choose, simply contact [email protected] to discuss, or post on our Facebook, we’re always happy to help.